I don’t tend to really drink things besides water (well, and alcohol and coffee). But when I want something a little special I tend towards kombucha because it’s fizzy and fun and also super good for you. Years ago I was making it for myself, and I’m not exactly sure why I stopped, but I decided to start again. – Boil water and add in black tea and sugar (real sugar – not coconut or honey or anything I usually like to use. 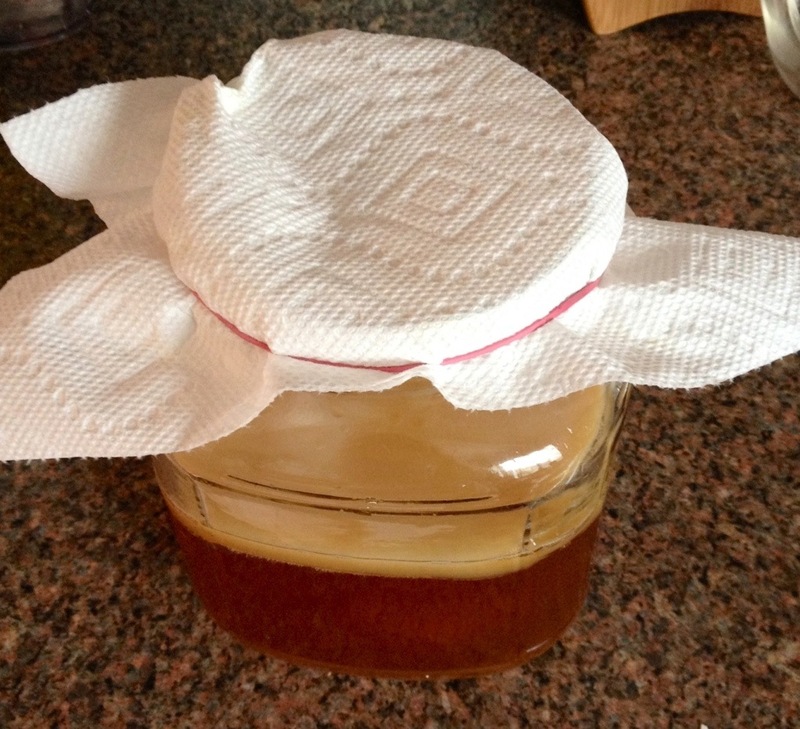 Don’t worry, the “scoby” eats the sugar, not you). I don’t think it matters too much the ratio of these things, although other people think it matters. As a guide, The Kitchn says 1c sugar for 3 1/2quarts water. – Cover the jar with a paper towel and then just let it sit for about a week. You will see bubbles and a new scoby forming! – Pour out all but 2 cups of the liquid into bottles to drink, and then use the rest to make another batch! 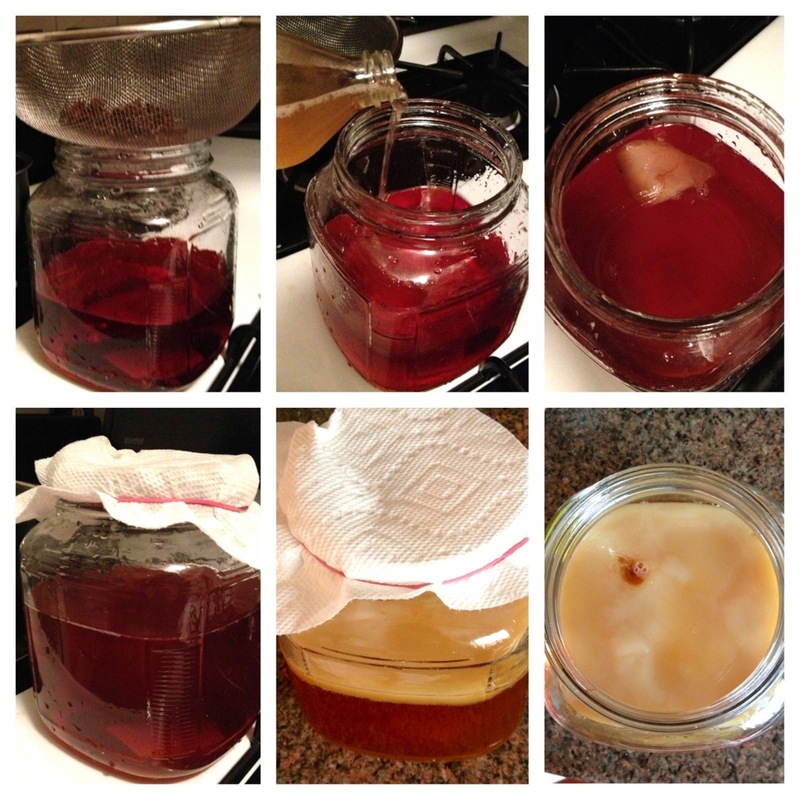 – After you put the kombucha in jars you can add other flavors, like cranberry juice or ginger or whatever. I think just plant matter. – I like to mix mine with water because sometimes it’s a little intense. – Writing this post I am becoming curious about the possibility of a kombucha cocktail – look for this in the future!